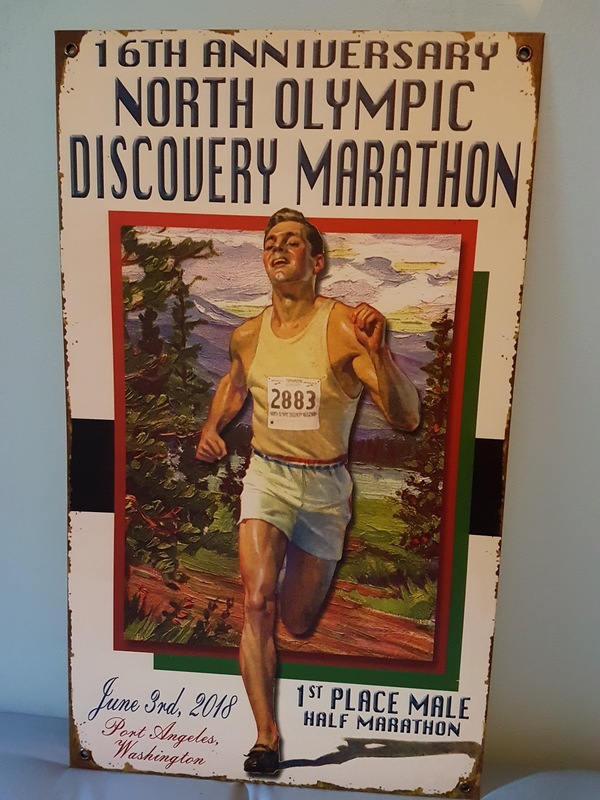 After having such an amazing experience in 2011 winning the North Olympic Discovery Marathon (NODM), the Port Angeles NODM races are always high on my list of races to do each year. In 2012 and 2013 I had free entries, and so I ran the 10K and 5K. The 10K race in 2012 was a flat out and back course along the North Olympic Discovery Trail, starting and finishing in Port Angeles in front of the Red Lion. It was not a very competitive race, and I easily won in 37:39. The 5K in 2013 was mostly an out-and-back course from the same start/finish, but it had a nasty uphill and downhill loop thrown in. Up Ennis Street and back down the Rayonier Access Road. It was quite competitive as I ran with a young kid for the first half, but pulled ahead on the downhill to win in 17:25. I had always planned on coming back and trying to win the half marathon (which is typically a very competitive race) to complete the series. But in 2014 the first of my two kids showed up, and it become harder to travel and train. But finally this year I was able to go back there and race the half marathon. My training wasn't great as I had been sick with minor colds on an off for a month, but I had paid my money for the race and hotel, so off I went. A little bit of research showed that none of the previous winners were racing this year, so I thought I did have a small chance, and hoped to place top 3 at least. 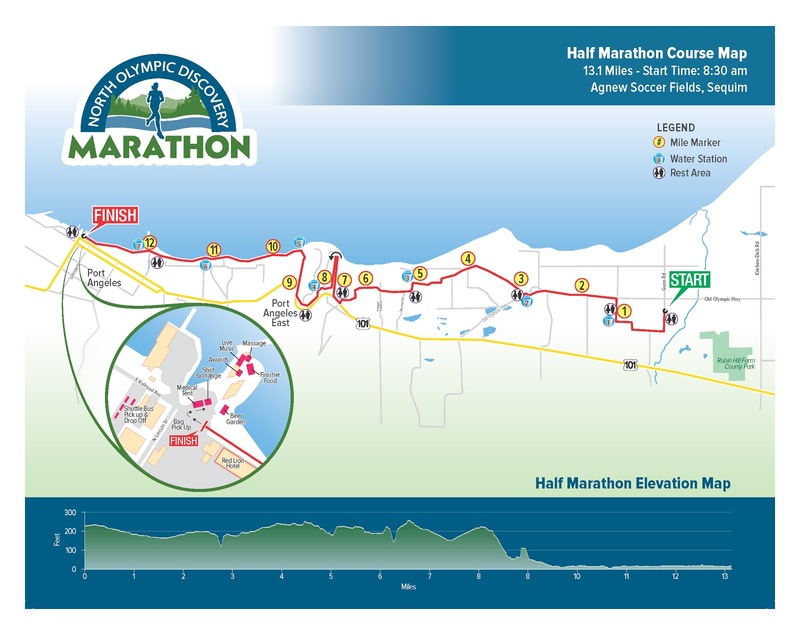 But to give you an idea of how hard it is to win this race - the average winning time in the half marathon is just under 1:15 (with the course record being 1:11:38). Only once in the 15 years had a winner run slower than 1:20! And considering that my PB is 1:19:50 from 5 years ago I didn't think I'd come close to that time or have much chance at winning. Even though I hadn't done a single run over 18 kilometers in many years, I figured I would still go out at 1:20 pace (3:48/km) and try to hold on. But the course has quite a lot of hills (up and down) in the middle section, so I knew it would be hard to maintain a decent pace. I hadn't been this excited for a race in many years. And so I put a lot of effort in before the race planning my strategy, memorizing the course and the splits I hoped to achieve. Many people will not bother to learn the course and elevation profile of a race, but I think it's invaluable, especially for longer races. 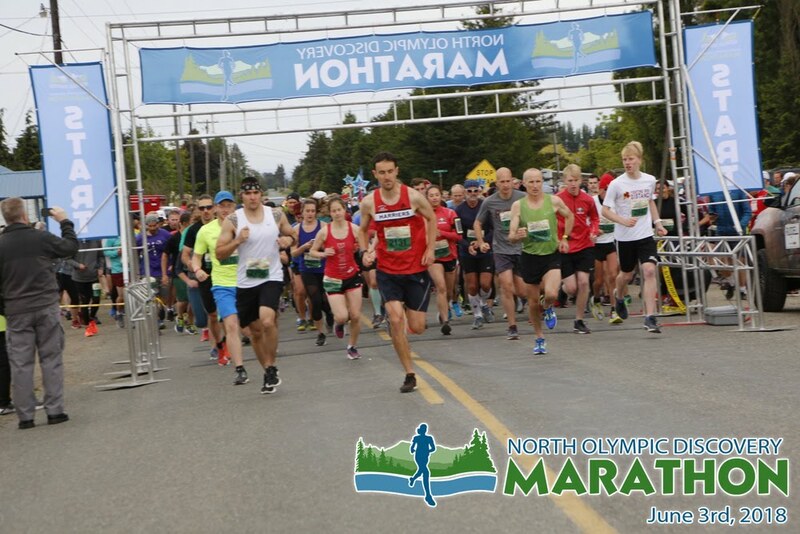 It was a lot of fun before the race started, I ended up chatting with a nice group of runners from Nanaimo, and then headed out for a 15 minute jog to get warm. The weather was overcast, and very lightly drizzling on and off, and a moderate headwind. Temperature wise it was perfect (~12 C) for racing, but rather chilly for standing around! When it was nearly 8:30 am, I stood at the start line and sized up my competition. There was one older guy who I thought looked very serious (aka fast), but otherwise everyone looked pretty relaxed and chill. This was especially apparent as we were counting down from 10 and no one bothered to crowd the start line! They all stood back about 10 feet, it was amusing. As the gun went off, I headed out in front, but soon the other runner caught me and we ran side by side for 500 meters to the first corner where the lead cyclists were waiting. I was watching my pace to ensure I didn't go out too hard, and saw it was 3:40/km - slightly too fast. So I eased up a touch and the other runner (whose name was Paul) slowly pulled ahead. I suspected at that moment that I was destined for 2nd place, as he looked very fit and comfortable at that pace. And sure enough by the time we got to 5K (in 19 flat for me) he was no longer in sight except on a couple really long straight sections. The headwind was quite strong, and it was definitely a struggle to maintain that pace. Plus the course is quite hilly from 5-11 km, so it wasn't a big surprise that my splits slowed. But there was also more trees and wind protection in this section so the wind wasn't as much of a problem. By the time I got to 10K I was well off pace (39:13) and not expecting anything much. But as I said before - it is always a good idea to know the course! And I knew that from 11-13 km there is an out and back along Buchanan Road, so I would be able to see how far ahead Paul was and better estimate my chances (and required effort level!). I always remember that part of the course too because you run down a nasty steep switchback, then across a bridge over Bagely Creek, and back up the other side - and it's really steep. Brutally hard at ~32 km into a marathon! Even at 10.5 km in a half it felt awful. But after that is a nice downhill, so I got my speed back up and turned onto Buchanan Road. This is where the 10K race starts, and so there were still many runners/walkers were coming back the other way. I kept looking for Paul, expecting to see him (and the lead cyclists) coming back towards me. But he wasn't there. I did see one lead cyclist standing on the side of the road. Very weird. "You've got a HUGE lead!" "But there was one guy ahead of me right?" "Lead half marathon runner coming through"
"I LOVE CANADA, TAKE ME WITH YOU!" As my singlet has Victoria, BC, Canada on it. This is one of the reasons I love this race - the timing makes it so you pass a lot of walkers and runners who cheer for you. It is such a great atmosphere. I assumed that Paul had either pulled out or more likely missed the turn onto Buchanan and gone straight down the hill. Anyway, the lead cyclists continued clearing the way for me, as there were many 10K and 5K walkers/joggers along the trail. By about 10 miles I was definitely running out of gas, but managed to maintain a decent 4 min/km pace the rest of the way. I was pretty sure there was no way the next runner would catch me, but I did shoulder check a few times just in case. 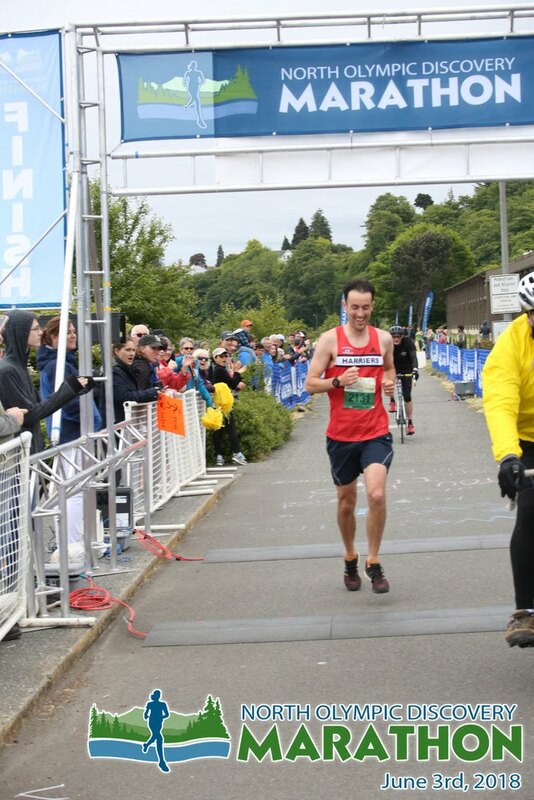 When the finish line came in sight I was absolutely giddy, and did a bit of a sprint finishing in a time of 1:22:15. Definitely not as fast as I had hoped, but considering my training (and a 36:30 10K a month ago) it was pretty much what was expected. After the race it was unfortunately getting colder, windier and rainier, so it wasn't a lot of fun to hang around outside. I did have a few nice chats with the other runners, including with Paul who as I guessed had missed the turn and gone straight down the hill. Really tough luck for him as I'm sure he would have easily won. My best guess is he would have been in the 1:18-1:20 range but it is hard to tell. For a few days the official results had him listed as 1st place in 1:14, but I would assume that was his time without the ~1.4 km section along Buchanan. I hung around about 15 minutes and was very surprised to the see the lead marathon runner come flying across the line in a course record time of 2:34! After that I quickly checked out of my motel and then hung around the finish line (under cover as it was raining a bit) eating as much food as my stomach could handle! Then I hopped back on the Coho ferry and back to reality. Not only was I very fortunate with the race, but I was also lucky in that the rest of my family had come down with a nasty 24 hour stomach bug on Saturday afternoon that could have ruined my race. But I just missed it thankfully. For winning I received this lovely metal poster, and a free entry into next year! But what race should I do now?!? My goals for 2016 are exactly the same last year - try to get PBs at 5K (Bazan Bay), 8K (BMO 8K), and 10K (TC10K). Last year I just missed at 5K, tied my 8K, and missed at 10K by a lot. But this year with another baby due to arrive in the summer I have a little more motivation, as I am very well aware that it will only get harder to train properly with 2 kids and I'm certainly not getting any younger! Battling with James Cook near halfway. The year started off well with a new course best at the Pioneer 8K in a time of 28:29. I had a great battle for most of the race with Lucy Smith with her eventually pulling ahead in the last kilometer and finishing a few seconds ahead of me. That time is only 9 seconds off my PB, which is a nice result considering that it is January and on the Pioneer course which isn't the fastest! And having moved up into the easier 35-39 age group I placed 2nd! Next up was my goal race for the year - Bazan Bay 5K. After 3 years in a row of running 17 flat I was again determined to break that barrier, in what I kept telling myself was probably my last shot at it. I had some pretty decent training in January and February, averaging about 55 km/week with some good longer runs (16-18 km) and the usual set of speed workouts - mile repeats, 300's, and 40 minute fartlek sessions. As always the struggle was finding/making time to train, and I did end up having to resort to quite a few night runs which I don't particularly enjoy. For specificity I also did two 5K time trials, 2 and 4 weeks out. The first time trial I did at the Oak Bay track and set a new "track 5K in training PB" of 17:48. 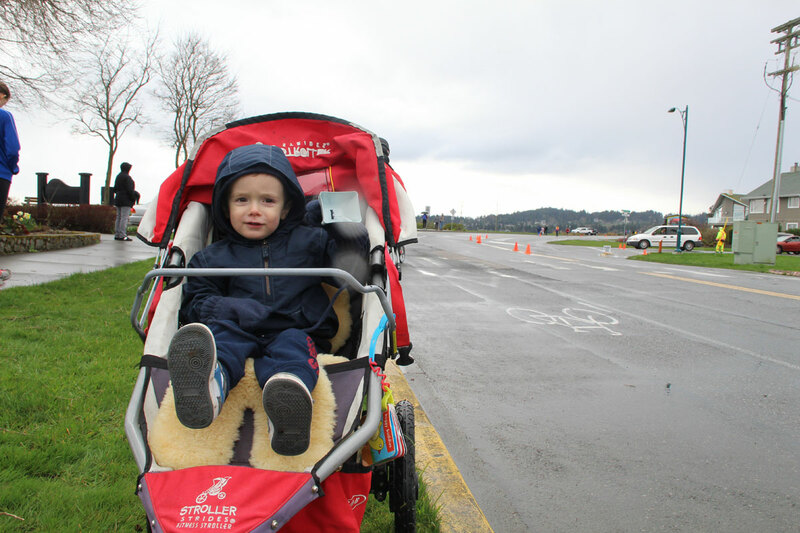 The second 5K I went out to Sidney and ran the race course to really feel prepared. It was a bit windy (as it often is being on the water), and got off to a slow start (9 minutes for the first half), but crushed it on the way back running the last kilometer in 3:09 and finishing in 17:23 - a huge "road 5K in training PB". Most importantly it gave me the confidence that come race day (2 weeks away) with a bit of adrenaline and some competition I could drop 25 seconds. As a final workout the weekend before I ran 5x1K (also on the Bazan Bay route, 2 mins recovery) and really nailed it - 3:18, 3:22, 3:26, 3:14, 3:11 (16:31 total, 3:18/km avg pace). So, the training was done, I knew I probably should have done more aerobic training, but it was just so hard to find the time! But at least the workouts had gone well. This year I decided to actually taper for the 5K (unlike last year), so I only did a few strides and some easy running during the week. Race day arrives, and the weather forecast is not ideal - rainy and pretty windy (20-30 km/hr). Typical. Bang, off we went. First kilometer was crowded as usual, and I was running with my friend Mike, but it got too crowded and I couldn't run the pace I wanted so I moved to the outside and picked up the pace. Got to 1K at exactly 3:22 - perfect! The 2K is slightly uphill and with the wind blowing I wasn't able to maintain my pace and dropped to 3:33, not a good sign. Already 7 seconds to slow. The 3rd kilometer is downhill to the turnaround, then back uphill, so it is usually a bit difficult to run a fast K - I pushed down the hill but still got to halfway at 8:39. Already in my mind I was starting to give in to yet another year of running just over 17 minutes. I pushed back up the hill hoping to make up some time, but got to the 3K marker in 3:30 - still way slower than I wanted. At this point my watch read 10:25, and I knew I was now 13 seconds off pace. It was going to take a huge effort to do it. But I told myself to forget about it and just run as hard as I could. Luckily the wind was at my back and I flew through the 4th kilometer in 3:19, passing quite a few people along the way. I was now only 8 seconds behind and only 1K to go! A final 3:15 kilometer would do it... I had done it before (running 3:12 at the end of Bazan in 2013), but usually my last km was 3:18 - which surprise surprise would give me another 17:02... As always the final kilometer of Bazan stretches on and on, and it always hurts. But I knew my family would be cheering at the final corner with 200m to go, so I pushed on and closed the gap on the 3 lead women ahead of me. In the final straight away I passed 2 of them and sprinted towards the line, seeing 16:4X on the clock... finally it was going to happen! I crossed the line in a time of 16:54, having run the last kilometer in 3:09, second half in 8:15, and (since why not) a final 3K in 9:59! Phew. Mission accomplished. The photos show pretty well what I was feeling - a lot of pain! This also got me 3rd overall in my age group which is always nice - you get a medal instead of a ribbon :) Full results here. The rest of March I mostly just enjoyed a feeling of accomplishment and didn't train too hard. I probably should have pushed it a bit more, but it was nice to relax. 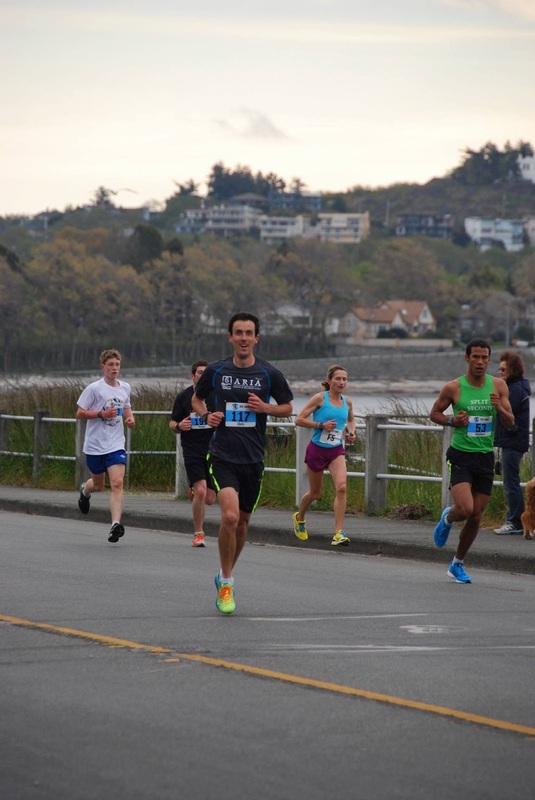 April arrived and I used my free entry into the Esquimalt 5K and ran a surprisingly fast time of 17:33, which is over a minute faster than last year, and good for 4th place. Going into the TC10K I knew I wasn't as sharp as I could be, so I suspected it wasn't going to be a great race. But in the end it was a pretty decent effort, on another windy day. I was hoping to at least break my TC best time of 35:28 (from 2014), and maybe have a shot at my 10K PB of 35:18 (Sun Run 2013). So I had hoped to run the first half in 17:35 to give myself a good chance and maybe even a sub 35 clocking. I started out really strong and got through the first 4K in 14:05, and 5K in 17:42. A little slower than I wanted, but already going up towards Clover Point it was very windy and slow. Sure enough the 3 kilometers along Dallas Road were noticeably slower than previous years (3:36, 44, 42) and I knew it was going to be another battle. I pushed hard, but really didn't have anything left in the tank and got passed by a few people in the last kilometer, crossing the line in 35:30, just missing out on my goal(s). It's frustrating when that happens, but looking at the positives it was a very solid even paced performance (17:48 second half) and my 3rd fasted 10K ever, despite being a few years older! Full results here. The 3rd and final big race of the year for me was the BMO 8K, 1 week after the TC10K. I knew it would be hard to be totally recovered, but being 2K less does help! This race is always an interesting one as it attracts a lot of runners (usually over 2000) but doesn't typically get the fast/elite runners as there is no prize money or comp entries. After winning it in 2014 and a disappointing race in 2015, I was hoping to rebound this year and run a PB (28:20) and have a chance at winning. Last year's winner Tyler was registered, so I was anticipating a good battle with him as he had just run the Sun Run in 35:18. The weather was great - warm but not too hot, no wind. Minutes before the start I ran into another runner I know called Robin, who had easily beaten me at the 2015 Victoria 8K in a time of 27:03. So I knew my chances of winning were basically zero. After a bit of a chat, and me mentioning that he should have a great chance of winning, he paused and said "well I have some good news for you... I wasn't able to register in time". The race had filled up, and he wasn't able to register! He said he wanted to run it anyway, but obviously wouldn't be officially in the race. Score. Before the start I did my usual strides to stay warm and keep the heart rate up, then tried to find a place in the narrow start line. But it was totally packed! All the other runners had squished right up (many minutes before) and it was very difficult to find a place. Eventually I squeezed in at the end of the front row, only to have a much older woman get angry at me because "that was her husband's spot". Oops. I guess everyone is entitled to try and start at the front, but I think trying to roughly organize yourself based on finishing time makes the most sense? Anyway, the gun went off and away we went. Robin and another guy jumped in with the lead pack about 100m in, and one young guy sprinted out to an early lead. But by 500m we had passed him, and the lead pack was made up of 5 runners - 2 "bandits" and 3 official runners (I think?). I was at the back of that pack for the first 2K (so running in 3rd place), then passed one guy to move into 2nd. The lead guy had pulled away a bit, and Robin picked up the pace to stay right behind him. I would guess they were about 50m in front. Far enough that it felt like a mile, but not too far to be out of sight. The first half was perfect pacing - 3:25, 3:37 (uphill), 3:26, 3:32 (13:58). Around the half way point I started noticing that the lead runner was looking a little more sluggish, and I was very slowly starting to close the gap. Around this point Robin took the lead and opened up a slight gap. I was amused to notice that the lead cyclist stayed right with the lead guy, and not with Robin. So clearly he was aware that Robin didn't have a bib and wasn't in the race. We passed a funny sign that read "Pain Now, Beer Later". Well said! After a slightly uphill kilometer I got to 5K at about 17:38, still very much on PB pace, and now was noticeably gaining on the lead runner (not on Robin though, he was way out front). As we came down past the lighthouse (thankfully this year we took the inner road, unlike last year where they made us run long) and in front of the Aquarium I picked up the pace and flew by the lead runner. The lead cyclist radio'd in my number, woohoo. Around this point - 6K - we turned off the road and ran along the bike path around the Coal Harbor waterfront. It was quite fun and exciting, being in the lead with the cyclist, and having quite a lot of the half marathoners still out of course walking (and cheering). "Honk honk, stay to the left, move over, runner coming through!" Around 6.5K Robin slowed down (I assume on purpose), and I came up along side him and said something like "come on, let's go". We ran around the last part of the bike path, flew past my cheering family, and turned up the hill on West Georgia. We passed another funny sign saying "If Trump can run, so can you!". By this point I was feeling pretty exhausted and was definitely not pushing the pace. I suspect Robin was just keeping pace with me, he did push the pace a little, but mostly I was content to just grind up the hill. I did a few shoulder checks and knew that there was a large gap behind us, so I was very relaxed about holding on for the win. Of course the spectators didn't realize that Robin wasn't in the race, so they were screaming like crazy thinking that it was going to be a super close sprint to the finish. I picked up the pace around 400 m to go and suddenly Robin was gone, I assume he pulled off and got out of the fenced in finishing area. Instead of sprinting as I usually do this time I enjoyed the moment, gave a few fist pumps, woot woots, and crossed the line, breaking the tape in a time of 28:32 (for the slightly long distance of 8.15K). This race is made purposefully long for safety reasons, so they also list your official 8K time (there is a timing mat about 150m into the race), which was 28:06 - a new PB! Full results here. It was a pretty amazing moment. I feel very fortunate to have these kind of experiences, as most amateur runners don't often get to experience what elite athletes go through. The rest of the weekend was a ton of fun spent with family and friends, and lots of good food and drink. I might go back next year to try and break 28... we'll see. For now it's time to enjoy summer, and get ready for another baby! Wow, it's hard to believe another year has gone by, but not hard to believe that I hadn't blogged once in that time period... oops. Anyway here's a brief recap of my 2015 running season. In January I ran the Pioneer 8K in 28:40 which was only 2 seconds slower than my course best set in 2013, so that was a promising start to the year. But it was a pretty big positive split (28 seconds), so I don't think it was the best race strategy! The rest of January and February had some decent training, but nothing too impressive (averaging just over 50 km/week). At the end of February I ran a 1 mile time trial at the Oak Bay track, and finally broke the 5 minute barrier with a time of 4:54. I had some pacing assistance from my wife and another friend - who alternated sprinting 200m of each lap with me. Lap times were 72, 77, 77, 68. 4 days after running the mile I did a 3K time trial put on by Chris Kelsall around Beacon Hill Park Circle Drive, and also PB'd it in 10:09. But that doesn't really say much considering I almost never race that distance! My goal was really just to run the 3:24/km pace that I needed to break 17 minutes for 5K. That weekend was the Bazan Bay 5K, and this was the year I was finally going to break 17 minutes. Could I pull of 3 PB's in 1 week? Nope. Maybe I pushed it too hard that week, or maybe I was just starting to get sick, or maybe I was over confident, or maybe I shouldn't have worn my new 3 ounce New Balance MR5000 shoes... Whatever the reason I once again ran 17:01. WTF! My splits were almost even - 8:32 at half way, but ran out of steam (or didn't dig deep enough?) on the way back, running 8:29 (compared with 8:19 the year before). Big disappointment. 3 years in a row running 17:00-17:01. For 2 weeks after Bazan I was pretty exhausted and sick with very little energy. 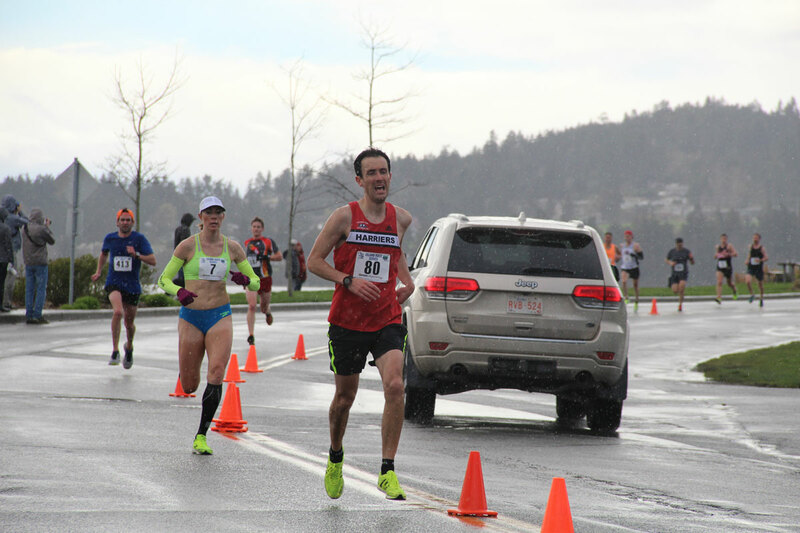 I decided to try the Esquimalt 5K to keep the fitness up, but it was a very windy day and I feeling lousy (this was 3 weeks after Bazan) as I ran a very sluggish 18:37, just sneaking into 3rd place with a sprint finish. Fun event, but definitely not a great feeling race. But I did win a free entry into next year's race! April I felt a bit off all month, but did manage to get my mileage up a bit - averaging about 65 km/week, and getting in 3 good long runs and a 5K time trial in 18:02 (Lochside trail/roads). I had hoped to be good and fit for the TC10K (my 13th year in a row running! ), but again I just wasn't on form. I don't know what was wrong the last 6 weeks since Bazan, but I clearly wasn't not running that well. I suspect I was a bit sick the whole time, and just didn't take enough down time to get over it properly. Anyway I ran 36:02 at the TC, which really wasn't too bad except that I threw in a 3:51 K from 8-9, probably just from lack of concentration. Otherwise it was a pretty even race (6 seconds positive split), and still my 2nd fastest TC to date. All my splits were in the 3:27-3:38 range, except for the one mentioned above. So it was a good effort, just a tiny mental lapse which cost me about 15 seconds! I also came 35th overall. 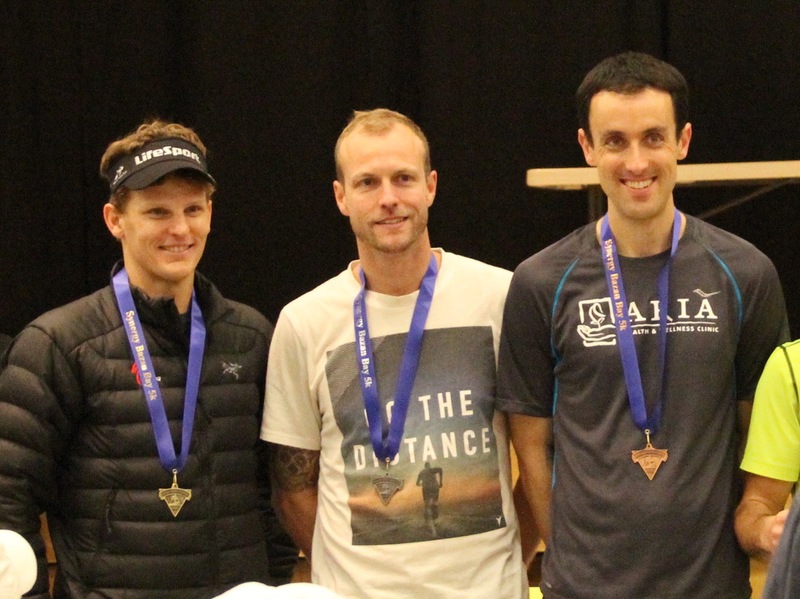 The following weekend (May 3rd) I headed back to Vancouver to try and repeat as the BMO 8K champion. But once again I felt sluggish and ran a minute slower than 2014, finishing in 29:48. The course was slightly longer this year (an extra 100m around the outer Lighthouse loop) which accounts for some of that time. But anyway this year I finished in 4th place, way behind the winner Tyler Ginther (who has 2nd the year before) who finished in 28:32. In the summer the Victoria Track Series started up, and I dabbled at a few of the distances, but mostly took the summer pretty easy. I had a decent 800m in 2:12.7, and a 1500m PB in 4:40.4. When September rolled around it was time to get back to racing again in preparation for the Victoria 8K! First up was the MEC5K on the Goose - which I came 3rd place in a decent effort of 17:56, followed up by a "win" at the rainy West Vancouver Terry Fox 5K Run in 17:32. 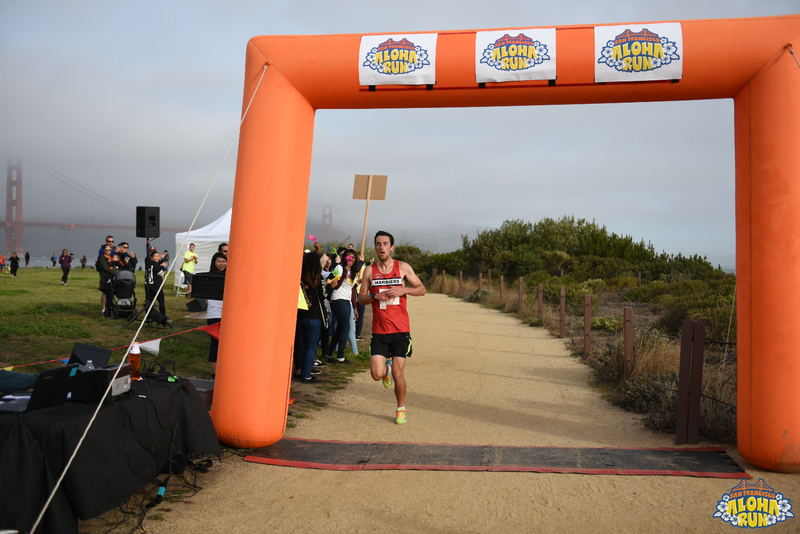 Then I traveled to San Francisco and ran in the Aloha 5K which was a very flat but windy race near to Golden Gate Bridge. I went out hard but quickly slowed down due to the wind and running on a sandy beachfront trail, but still managed to get the overall win in a time of 17:59. There were about 500 finishers in the race. Three 5K's in September, all sub 18 minutes! 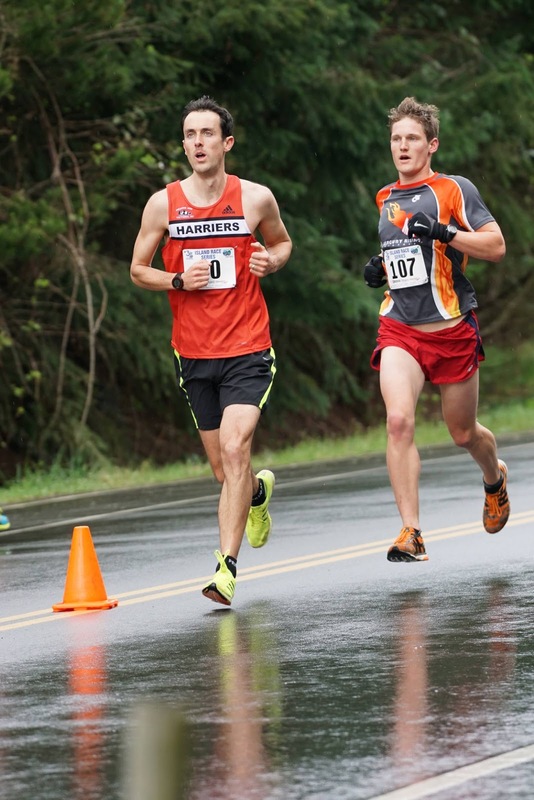 My goal race for the fall of 2015 was again the Victoria 8K, and I was shooting for a PB. My official 8K PB was set at the 2014 BMO 8K in 28:20, but I think my fastest 8K was probably done during the 2013 Sun Run in about 28:10. Anyway, I had a really strong race, 18 second negative split (14:19, 14:01), and finishing in the same time as my PB - 28:20. It's always annoying to tie a record, but considering I was a year older it was a very good result. I also came 10th overall which is a great placing. The rest of the year was taken pretty easy with another couple fun races at Thetis Lake (relay and Stewart Mountain short course). And as always I ended the year off with the Run Thru Time 5K. As that race is a good benchmark for my fitness level going into 2016, I was hoping to set a course record (which was 17:45 from 2013), but didn't have a great race finishing in 18:07, good for 2nd overall. Overall it was a decent year with good consistency, no injuries, and a few PBs (1 mile, 3K, 8K tie). Total distance run was 2300 km (9 days worth of running! ), and 21 races. It was always going to be hard to follow up on my success from 2013 (where I ran personal bests in all distances from 5K to Marathon). And to add to that challenge, I became a father in February when my son was born. But overall 2014 was a pretty decent year as far as racing goes. I was very happy to unofficially break the 17 minute barrier in the 5K - 16:59.99 - at Bazan Bay, but I still hope to officially break it next year at Bazan Bay. The TC10K was a bit of a surprise where I ran 35:28 in a new course best. 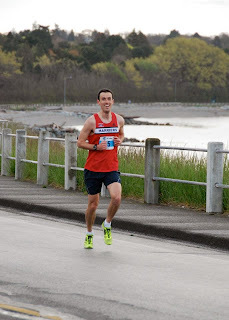 After the unexpected win at the BMO 8K in May of 28:20, I ran a few of the Victoria Track Races. I (just) set a new PB in the 800m of 2:11.38 seconds, and a larger PB in the 400m of 0:55.3 seconds. The goal race in the fall was the Victoria 8K at Thanksgiving time. I didn't have great expectations for the race, but my training had be alright. I hoped to be close to the 28:20 that I had set in May at the BM0 8K. Overall it was a very strong race as I finished in 19th place overall in a time of 28:24. It was a negative split again (14:20, 14:04) too. I ended up having a great sprint off against the local sprint champ Byron Trajan, but ended up losing the battle. His 8K PB is probably at least a minute faster than mine, and he just had a little more spring left at the end of the race. Always a little disappointing to lose a sprint AND to miss my PB by just 4 seconds! After that it was cross country season, and I ran all 3 races at Thetis Lake. For the first time I ran the Thetis Lake Relay solo (4 laps of ~4.2km), winning that category in a time of 1:15:17 despite taking a hard fall on the final lap when I tripped over a log. Tired legs... Next up was Gunner Shaw which I didn't take took seriously and ended up in 16th place overall. 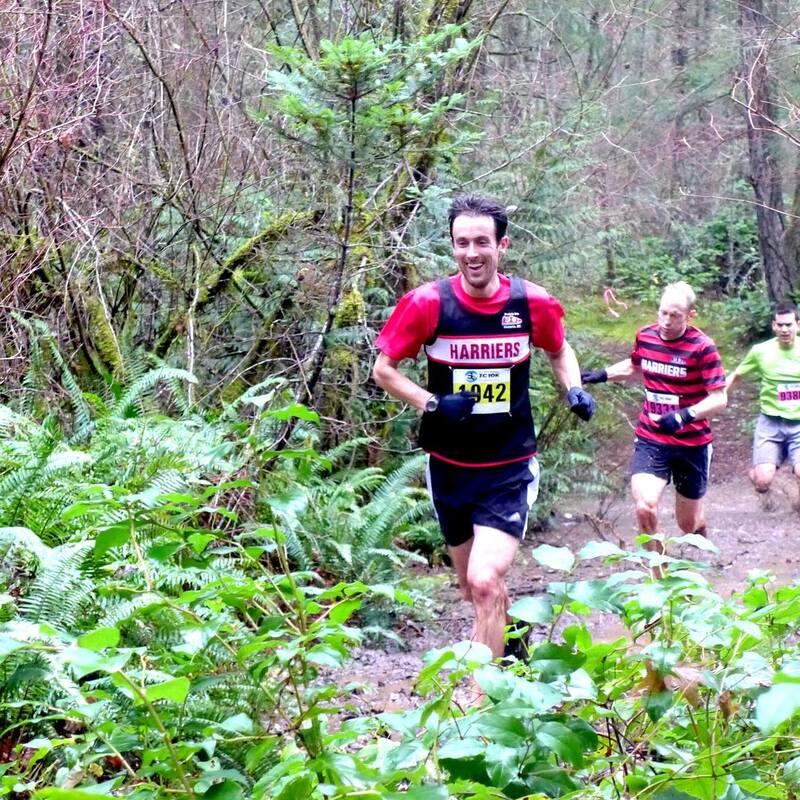 Last up was the Stewart Mountain short course (~5.5 miles/9 km) which I had won in 2012. I didn't feel good in that race, but at the turn around was in 2nd place, and slowly, very slowly, closed the gap to the leader (Matthew Thompson) and ended up having another great sprint-off to the finish line across the main beach. Once again I was denied as Matt held me off to win in a photo finish. Good for him as he had been edged out by 1 second the previous year! I finished off my year in the usual way by running in the Run Thru Time 5K at UVic. Every year I use this race as a benchmark for where my training is at leading into the next year's Island Race Series. I had run the course faster each of the last 5 years: 18:48, 18:13, 18:03, 17:55, 17:45. This year I couldn't quite continue that streak, but did put in a respectable 17:50 and 2nd overall. I don't know what 2015 will hold, but my fall training and racing was decent so I'm hoping to be about the same speed over the shorter distances. I plan on running the Pioneer 8K in January, Bazan Bay 5K in May, TC10K in April, and try to defend my BMO 8K in May. Stats for 2014: 18 races and 2040 km run (over 7 days worth). 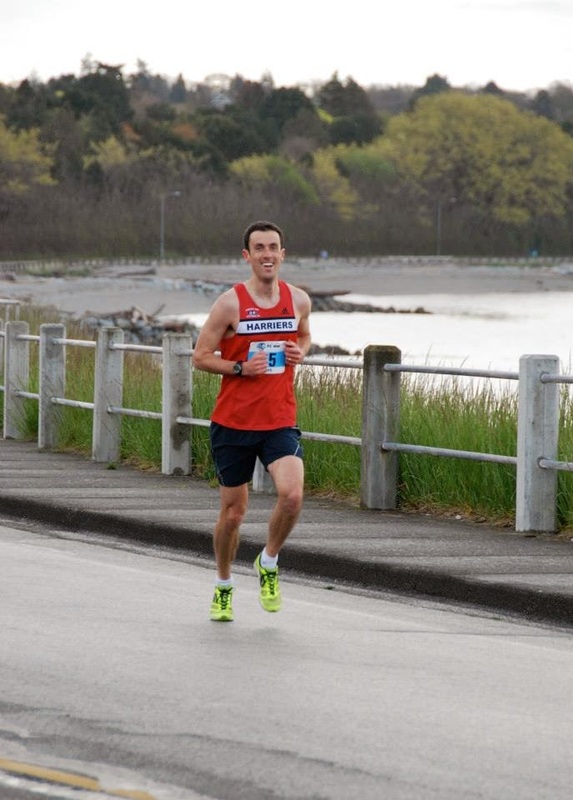 I decided to head over to Vancouver on May 3rd to do the BMO 8K around Stanley Park. I had never done any of the BMO races (8K/Half/Full), and this year I had 3 friends running the half and 2 doing the full so it seemed like a good race to do. I will also admit that when I saw last year's winning time in the 8K was ~28:30 I had extra incentive to do it seeing that I had just run 28:32 the week before (as part of the TC10K). The 8K is a large race (with almost 2000 registrants), but doesn't seem to get the elite runners. Probably because there is no prize money or complimentary entries! The timing of the 3 races worked out well for me to be able to get up early and cheer on the half marathoners, do my race, and then cheer the full marathon runners. 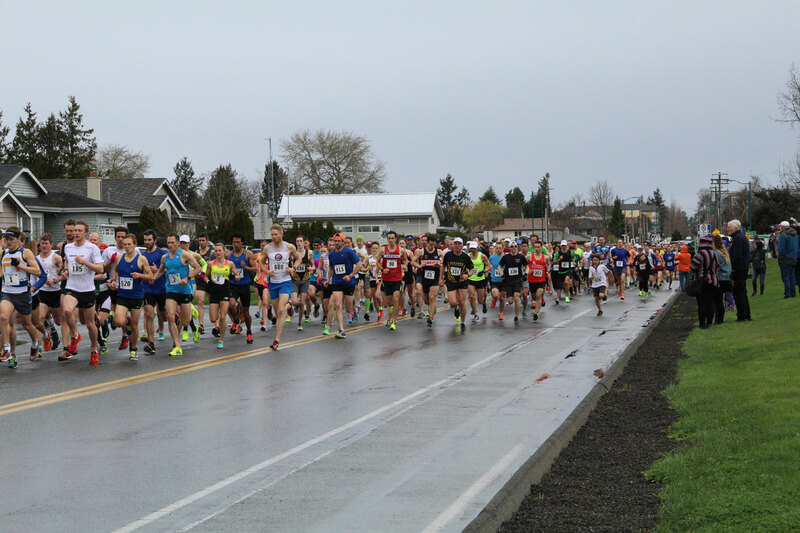 Unfortunately it was a rather rainy day which wasn't nearly as fun for spectators or runners. I got up at 7:30am and headed out into the rain to cheer on my 3 friends doing the half marathon. They were all in good spirits at the 10K mark where I was cheering despite being drenched (and one suffering from nasty blisters). I paced two of them for a few kilometres before turning around and going back to my room to change into a dry set of clothes and shoes! I jogged 3K up the seawall to the start of my race. At the start line there was a huge turn out and I saw a friendly face - Marilyn - who I had run the first few K's of the TC10K with the week before. I knew she would be the heavy favourite to win the women's race, and mentioned wanting to run sub 28 minutes (which was also a goal of mine!). As we started one guy (Drew) took off and opened up a big lead, then there was a group of about 5 runners behind him, and then me and Marilyn closely following them. Around 1.5K Marilyn overtook me on an uphill, which gave me a bit of motivation to pick up the pace. The first 2K had been run in 3:32, 3:37, but I sped up noticeably and ran the next one in 3:25. Around this point in the race (3K) I noticed that Drew had faded and the group of 5 had caught him, and I was suddenly on the back of the lead group. Another guy - Tyler - who I had picked out from the start as looking strong took the lead and I quickly tucked in behind him. I was feeling really pumped up at this point and thought "what the hell - let's go for it!". I picked the pace up some more and pulled along side Tyler and said something like "Let's go!". I slowly opened up a small lead on Tyler and the lead cyclists (and motorcycle) stayed just in front of me honking their horns at all the half marathons who were walking at this point to make way for us. It was quite the royal treatment! I got to halfway still in the lead at 13:55, having run my fastest K in 3:21. I thought perhaps sub 28 was a possibility! But the final kilometre of the race is a gruelling uphill finish along West Georgia so it wasn't going to be easy. I knew Tyler was still close behind me as I could hear the half marathon walkers cheering for him very soon after I was past them. By around 5K I was definitely starting to hurt, those fast K's had taken a toll on me, and I could feel my legs and lungs burning in very unpleasant way. Just hang on was all I thought. The course winds around quite a lot, and I faded a bit through 5K and I had just run my slowest K in 3:42 (17:37 for 5K). Luckily I got a second wind and picked up the pace back to 3:31, 3:32 until the bottom of the hill at 7K. I was so drained at this point that I shoulder checked a few times to see how close Tyler was - and he wasn't far behind. But the nice cyclist who was leading me said "Don't worry, you got this". Up the hill towards the finish I was hurting a lot, but now also knowing that it would take an amazing effort by someone to catch me, and even if he did I knew I had enough for a sprint. When it finally levelled out at the top I put in a decent sprint and broke the tape in an official time of 28:43, winning the race by 11 seconds over Tyler who had just held off Matt by one second who neither of us knew was there. It turns out that the race was purposefully long at 8.15K, and so my official 8K time was 28:20, a new PB (excluding my ~28:10 from the Sun Run last year), and also the largest race I've ever won (~1450 finishers). After chatting with other runners for a few minutes, I tried to get out of the finish line area but it was a zoo. So many people, and very poorly organized so it took at least 5 minutes just to find the way out - which of course was the farthest point away from where I was headed - back down to Beach Ave to cheer on my marathon friends. Luckily I was able to jog the 2K over the hump back to Beach Ave and made it just in time to see them go by. All in all a great day! Race day was forecasted to be a bit windy which isn't ideal along Dallas Road in the second half of the race where there is an uphill section. So I told myself that the first 5K was going to be "easy", and once you turn onto Dallas at 5K it was time to really focus and push up the hill (into the wind). I really wanted to try and maintain a good pace and not slow down like I usually do up the hill. I cruised through the first 5K in 3:33, 34, 34, 25, 34 (17:49). Along Moss Street my wife and son had just made it on time to see my fly by! The wind was definitely moderate but I ignored it and pushed up the hill. The next 2K were very solid in 3:38 and 3:37. Back down the hill to 8K in 3:26 (~28:32) I caught and passed a group of about 5 runners. I started fading a bit from 8 to 9K in 3:38 and a few runners from that group passed me, but I picked it back up on the final K (3:19) and passed all of them but one (Lemlem), finishing is a new TC10K PB time of 35:28 - only 11 seconds slower than my Sun Run time of last year! I was very happy with that result, especially considering it was a 10 second negative split and very consistent pacing - definitely the most consistent I've ever run at the TC. As for placing, I was 29th overall (8th in my AG), my highest placing yet. The following week I ran the BMO 8K in Vancouver. I've fallen way behind in my race updates, so here's a condensed version of the first half quarter of 2014. After a very successful 2013 I didn't have quite the same goals for 2014, especially with the birth of my first child due in February. I trained reasonably hard over the winter and through January/February hoping to maintain a decent level of fitness after the baby was born that would see me through Bazan and TC. The year started out okay in early January at the Pioneer 8K where I ran 28:50 (12 seconds slower than 2013). After negative splitting almost every race in 2013 I made a mistake at Pioneer and went out a bit too hard. The first half was 14:15, and I faded a little bit in the second half (14:35) despite having a good battle back and forth with Damian as we tried (and failed) to reel in Brad Crowe. The final 100m sprint is uphill, and was okay as I placed 4th in 13.6 seconds (Byron won as usual in 12.97s, still not quite as fast as my 12.7s from 2012!). 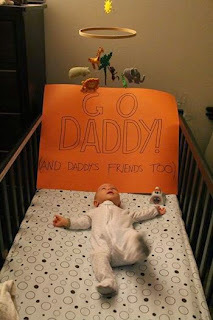 The next race in the series (for me) was Bazan Bay 5K in early March which happened 2 weeks after my son was born. So the combination of lack of sleep and running in those 2 weeks meant that my expectations were not very high heading into the race. But I did manage one good training run of 6x1K on the track where the final one K repeat was run in 2:57! Which is the fastest I've ever run in training. It did help to have some fast friends out there to drag me along. After last year's frustration at Bazan where I ran 17:01 I still secretly hoped to break the 17 minute barrier (3:24 pace). The race started out perfectly with a 3:24 opening K, but the slight uphill on the second I slowed to 3:30, and hit the halfway turnaround at 8:41. Damian had been with me through 2K, but fell off the pace and I started picking off people ahead of me. 3rd and 4th K's were 3:23 and 3:26 which meant I still had work to do on the final K to get under 17. Last year I finished in 3:12/km so it was possible... I gave it everything (and didn't make the mistake like last year of looking at my watch and relaxing!) and was very surprised with 150m to go to pass Byron the sprinter. My dream of one day have a real sprint-off with him would have to wait as I was maxed out and he was coasting :) About 50 meters into the final 100m he blew by me on his way to winning his 12th(?) green jersey. I crossed the line in 17:00. Bah. Very happy with my race (22 second negative split), but so annoyed to not get under 17. I think my sprint time of 15+ seconds was the slowest one I've done, which means probably my best race effort! A week later I decided to email the race director to find out what my fractional seconds were just in case it was 16:59.5 and got rounded up to 17. Here's the screenshot he sent me, 16:59.99! How close is that?! ?